1. 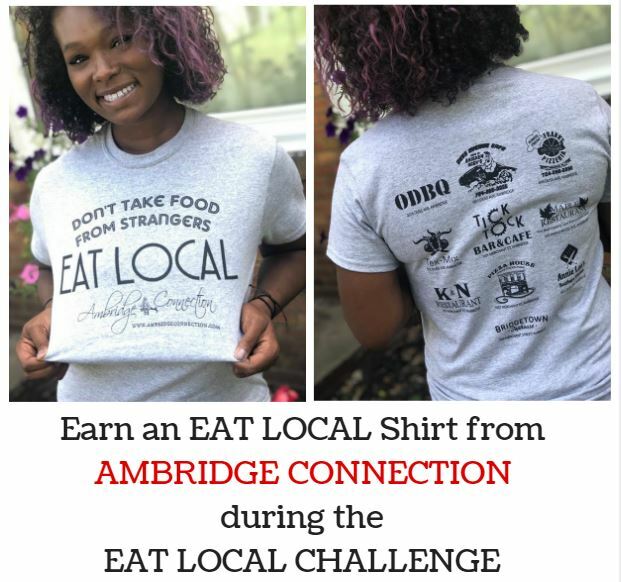 Eat FOOD from 3 different locations that are listed on the back of the shirt between July 13, 2018 and August 13, 2018* CHALLENGE EXTENDED !!! Until END October or when shirts are gone. 2. Take a picture** with a paid receipt min. spending a total of $5.00 (the only exception is Police Station Pizza - there you must take picture of yourself at the location with your paid order. "Looking forward to having some fun with you this summer.